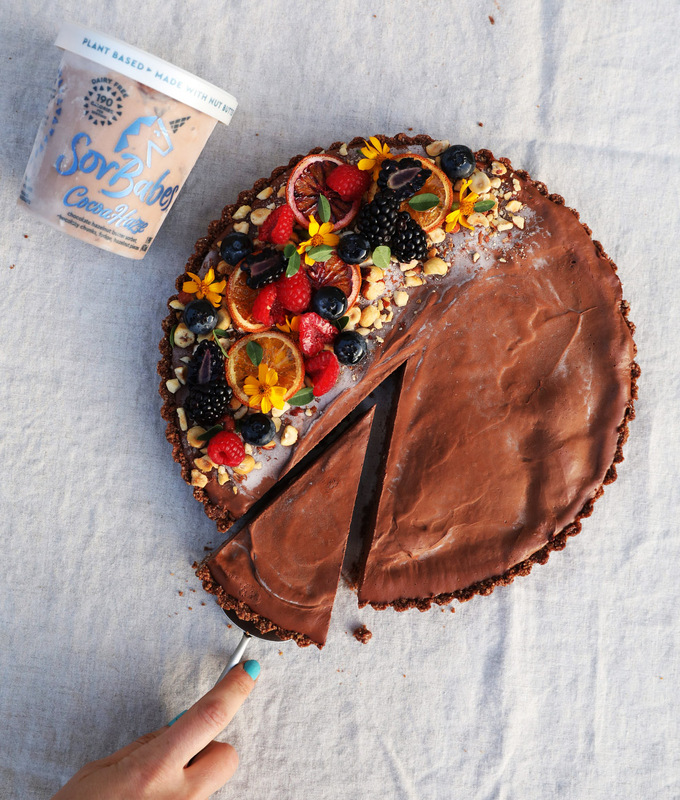 This tart is super a super elegant, fancy pants kind of dessert and it challenges everything you think you know about sweets and plant based foods. It will seriously blow you mind. Before serving, let temper for about 10 minutes at room temp, while you garnish with your favorite berries and other fruit. Slice using a knife dipped in hot water and enjoy.